FunBox Blog: Is Anyone Else Just Pretending to Like Dune? 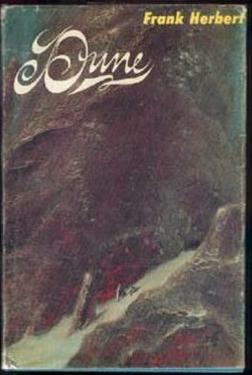 I felt really bad about not having read Dune until late in my Sci-Fi career. Everyone I talked to about Sci-Fi acted like Dune was Christ on wheels. It won the Hugo and the Nebula awards and had all those sequels. I mean Dune had to be good right? Right?! I don’t think I’m the only one who is mystified by Dune’s appeal. I asked my roommate about it. “Dune, isn’t that the one where they drink their pee?” Yes… yes it is. The whole time I was reading it I just couldn’t stop thinking about how terrible the inside of those Stillsuits must smell. I mean, just imagine, water is so scarce that you wear a suit specifically designed to recapture every iota of water that your body exudes, filter it, and pump it back up into your mouth with a hose. And you’re telling me it won’t stink like the back of a fat guy’s knee? You’re supposed to wear this thing until you die right? It’s hard for me to sympathize with a hero who I imagine smells like the inside of a rented wetsuit, and then drinks that sweat. Gug, do they even bother to cool it down, or do they just drink it warm? I’m literally gagging as I type this. Oh, and spoiler alert. The reason there is so little water? It’s toxic to the Sandworms. What? The water is Toxic? How can water be toxic, it’s water?! Your one chance to do some actual writing about science in the whole novel and you blew it Frank Herbert. You blew it. Stay tuned for my reviews of all the sequels!